3B+G+2Podium+25+Mech.Roof. Located in Lusail (Marina Mix), this iconic development has a total of 25 stories including three basements, ground floor and two parking floor which hold 691 parking spaces. 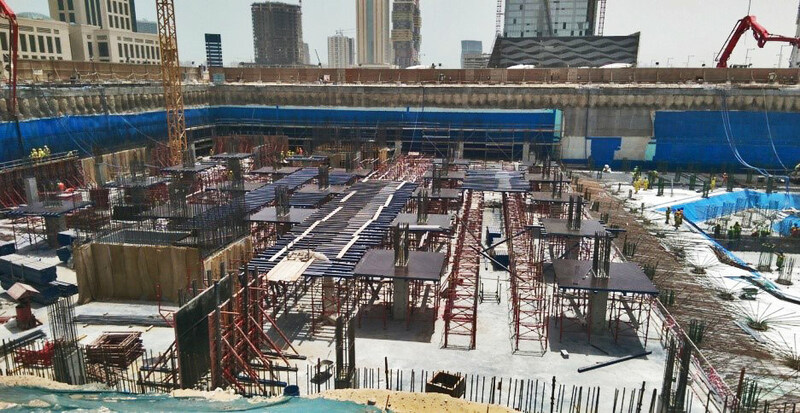 The total built–up area is 66,353 square meters and the total office units are 64 units. 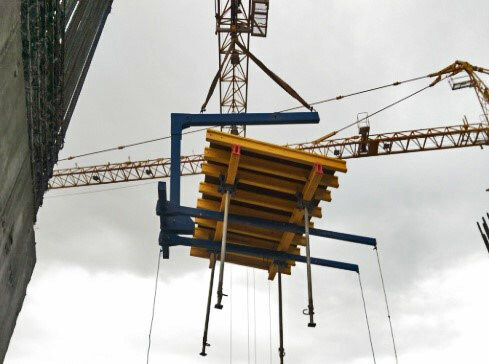 Is Design and supply, Table form system for flasework for the 25 story tower, as well as climbing system for the core walls formwork. 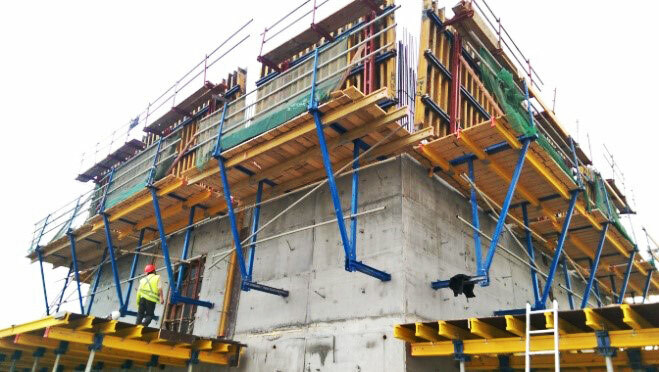 Acrow aep table form system had been a huge add value to the project fast track schedule, as well as acrow climbing system had fullfill the required timeline for the core walls progress ahead of the tower slabs.